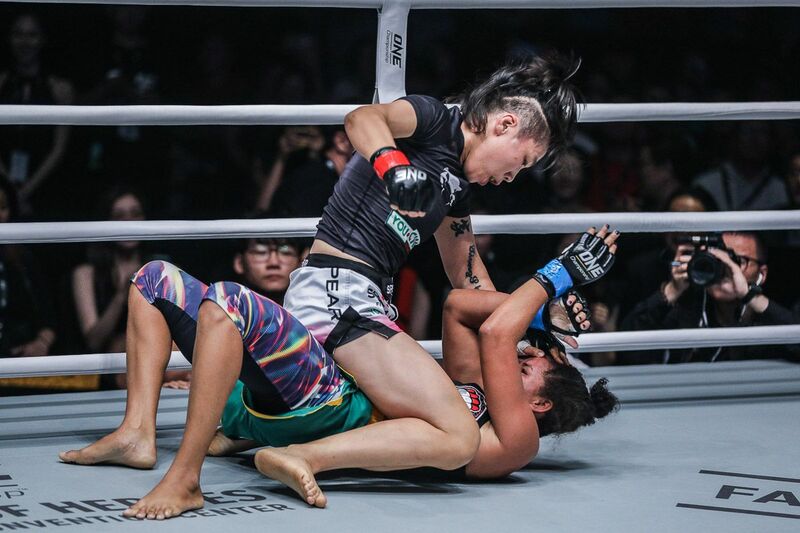 Xiong Jing Nan TKOs Samara Santos, setting up superfight vs.
ONE Women’s Strawweight World Champion “The Panda” Xiong Jing Nan defended her coveted title for the first time in mainland China, and she did not let her compatriots down. 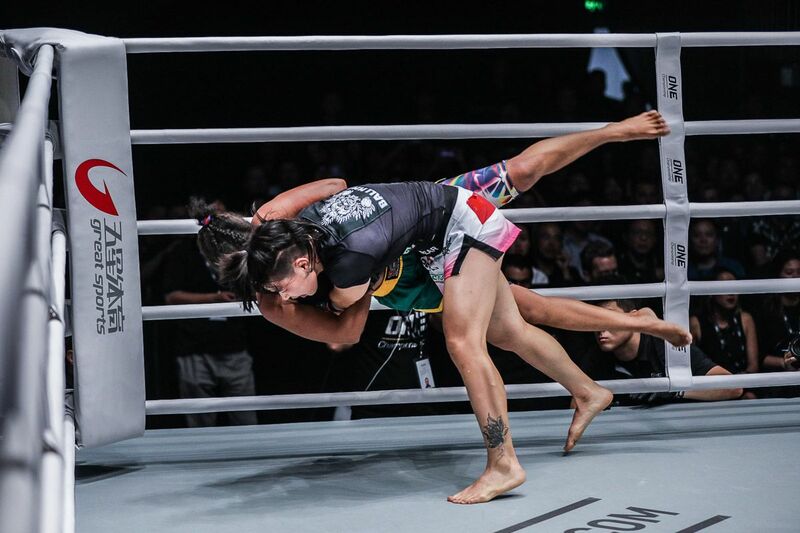 The Beijing native faced debuting Brazilian challenger Samara “Marituba” Santos in the main event of ONE: BEYOND THE HORIZON in Shanghai, China, on 8 September, and won via third-round TKO. Xiong started the bout in typically aggressive fashion with flurries of punches. Despite her understated demeanor ahead of the contest, Santos – a Salvaterra Marajo Fight Champion – was happy to stand and trade with “The Panda.” Then, she shocked the strawweight queen by taking her back and threatening with a rear-naked choke. The 30-year-old hero was able to escape, and then take over. A slew of punches, followed by a flying knee, sent “Marituba” to the canvas. Xiong swarmed the challenger, eventually achieving mount position and looking close to securing a first-round TKO with a barrage of ground strikes. With Santos gamely covering up and trying to stay in the contest, the Bali MMA-trained World Champion switched to an armbar in a bid to secure the submission. It gave Santos a crucial reprieve from the Chinese star’s relentless ground strikes, and she survived the round. Xiong continued to put on the pressure in the second stanza. A beautiful judo trip sent “Marituba” to the canvas early, but an unintentional foul caused a temporary halt to the proceedings. Following a warning and some time for Santos to recover, the bout continued. The 25-year-old challenger threatened with an armbar before “The Panda” retook control. She answered a Santos takedown with another judo throw and finished the round on top once again, raining strikes down on her adversary and threatening with an armbar of her own. Xiong was dominating the contest, but she was determined to secure the finish. She did just that early in the third round, when a thunderous hammerfist sent “Marituba” crashing to the canvas. Santos had enough, and tapped out at the 1:22 mark. The victory extends the ONE Women’s Strawweight World Champion’s professional mixed martial arts record to a sparkling 16-1. Her triumph also set up a mouthwatering World Champion versus World Champion super-bout with reigning ONE Women’s Atomweight World Champion “Unstoppable” Angela Lee in November at ONE: HEART OF THE LION in Singapore.